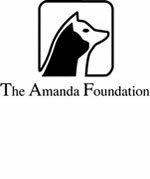 The Amanda Foundation was founded in 1976, and has since placed thousands of homeless animals. The foundation is a nonprofit organization that rescues dogs and cats who, through no fault of their own, are spending their last days at City and County Shelters. Donate directly to the Amanda Foundation. 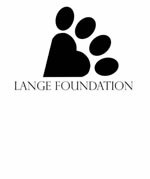 Lange Foundation is dedicated to saving impounded companion animals, and preparing them for their journey to a new safe, loving home. Many of the animals rescued are those that would be otherwise overlooked. The Foundation rescues seniors, the injured, and those inexplicably passed over. The Foundation provides medical care, TLC and training in order to prepare them for their journey to a forever home. Donate directly to the Lange Foundation. 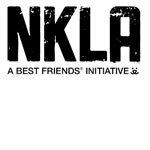 Led by Best Friends Animal Society, NKLA is dedicated to ending the killing of healthy and treatable pets in L.A. shelters. Their plan is straightforward. Provide spay/neuter services where they are needed most so fewer animals go into shelters, and increase adoptions through the combined efforts of the NKLA coalition so more animals come out of the shelters and go into new homes. Donate directly to NKLA. 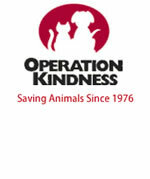 Operation Kindness was founded in 1976 and is the oldest and largest no-kill shelter in North Texas. They are a nonprofit animal welfare organization that cares for homeless or unwanted cats and dogs in a no-kill environment. They never euthanize an animal to make room for another and care for all the animals taken in until they are adopted. For more info visit Operation Kindness. 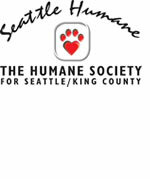 The Humane Society for Seattle/King County (also known as Seattle Humane Society) was founded in 1897. We are a private, nonprofit animal welfare organization. We are proud to serve the people and animals of our region with a variety of programs including adoptions, veterinary services, dog training classes, a pet food bank, and humane education for children of all ages. Through our outreach, advocacy, and services, we strive to ensure that animal companionship is accessible to all. Donate directly to Seattle Humane Society. Serving San Diego County since 1880, the San Diego Humane Society and SPCA provides vital services to animals and people alike. The San Diego Humane Society and SPCA is an independent 501(c)(3) organization and is not affiliated with any other local, state, or national organization such as the Humane Society of the United States in Washington or the ASPCA in New York. 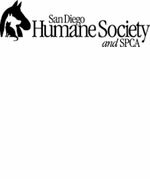 The San Diego Humane Society and SPCA is a private, nonprofit organization that receives no government funding, and is supported solely by contributions, grants, bequests, investments, proceeds from the Society's retail store, and small fees for services. Donate directly to San Diego Humane Society. Wags and Walks rescues at-risk dogs from shelters and finds them a safe and suitable permanent home through adoption, advocacy and education. 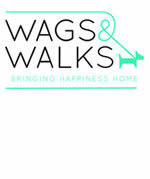 Wags and Walks was founded by Lesley Brog because she knew she could do more for animals. She grew up a veterinarian's daughter and a love for animals as far back as she can remember. Her Slogan: "Saving the world, for one dog at a time..." Donate directly to Wags and Walks. 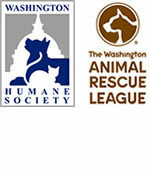 The Washington Humane Society (WHS), the only Congressionally-chartered animal welfare agency in the United States, has been the area’s leading voice for animals since 1870. As the open-access shelter in the Nation’s Capital, the Washington Humane Society provides comfort and care to over 51,000 animals annually through its broad range of programs and services including sheltering for homeless animals, a comprehensive adoption program and off-site adoption events to find new families for the animals. Donate directly to the Washington Humane Society.